I adore photo booths. I always have and I’m quite sure I always will. My favorites are the older variety that still spit out black and white strips–color is so overrated in a photo booth. Anatol Josepho invented this brilliant machine in 1927. 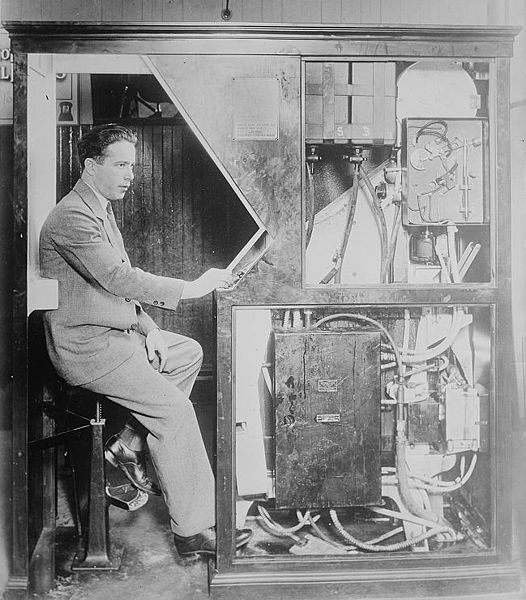 On March 28 of that same year he made the front page of the New York Times: “Slot Photo Device Brings $1,000,000 to Young Inventor. Hello big money! Thank you for your brilliant invention. It is by far, one of my most favorite things. I cannot pass a photo booth and not stop in. I plan to have a wedding someday to justify renting my very own little booth (yes– you can rent them now!). With perseverance and great discipline you achieved the American Dream. I love that you gave away part of your fortune to the needy of New York City. I’m quite sure you were a good man.